We would like to thank our partners for all the support that they give and the added benefits that it brings to Rude Chalets and Rude Lodge guests! 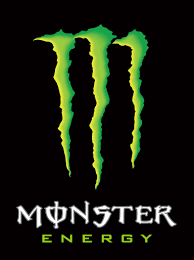 We are extremely fortunate to work with some of the worlds most recognisable brands who have all helped make Rude Chalets holidays a truly unique experience. Since 2007 we have been partnering with BURTON Snowboards to bring our guests some of the coolest chalet features you are likely to come across, as well as access to the test centre in Morzine. In 2007 Burton opened the first STASH outside of the USA and it just so happened to be right on our doorstep in the resort of Avoriaz 1800. Perfect timing for testing the best boards in the best eco park in Europe! 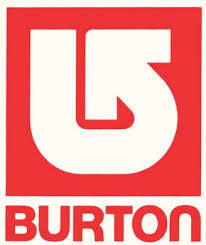 We love that BURTON is still rider owned and rider driven which makes it the perfect fit for Rude Chalets. Summer 2015 marked the beginning of our exciting new partnership with Fox Head Europe in conjunction with our very own Rude Lodge in Morzine! Widely regarded as Europe’s best MTB destination, Les Portes du Soleil boasts the worlds biggest MTB area which includes 12 linked resorts, 650kms of signposted bike trails, 5 bike parks, dozens of downhill runs, enduro loops & 4-Cross tracks. So whether you are starting out, a hardened XC rider or a manic downhiller there is something for everyone. With all this on our doorstep, we couldn’t think of anywhere better to bring two amazing brands together to offer our summer guests the most engaging alpine experience in Morzine for all MTB enthusiasts, through our eclectic mix of accommodation, café, bar & nightclub! Through working closely with Fox Head we have a unique opportunity to deliver exactly what it is that riders are looking for, be it through invaluable input from the Fox team, the Rude Lodge’s unique and well designed facilities or simply a place where riders can come together to enjoy a beer and some great food! We continue to work closely with Tammy Esten and the team at Mint snowboarding schools to provide the very best tuition for all levels of boarders, including our baby Mini Shredders. We are more than chuffed to be their preferred accommodation provider for many of their highly regarded snowboarding camps. Check out this ringing endorsement! Following on from our awesome Sun:Set events last season, we have got some great plans for some really unique collaborations. Watch this space for more great events coming for Winter 2016 / 17! 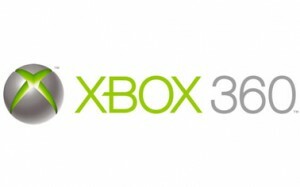 Xbox have kindly provided us with a bunch of 360s for our chalets, for when the legs have completely given up!